Howlin' Wolf Records: SIX STRINGS: Melodic Revolution Records: "A Lack of Empathy: The American Dream"
Melodic Revolution Records: "A Lack of Empathy: The American Dream"
“A Lack of Empathy: The American Dream” is now available as a digital download via Melodic Revolution Records' not-for-profit charity label There Is Hope Records. 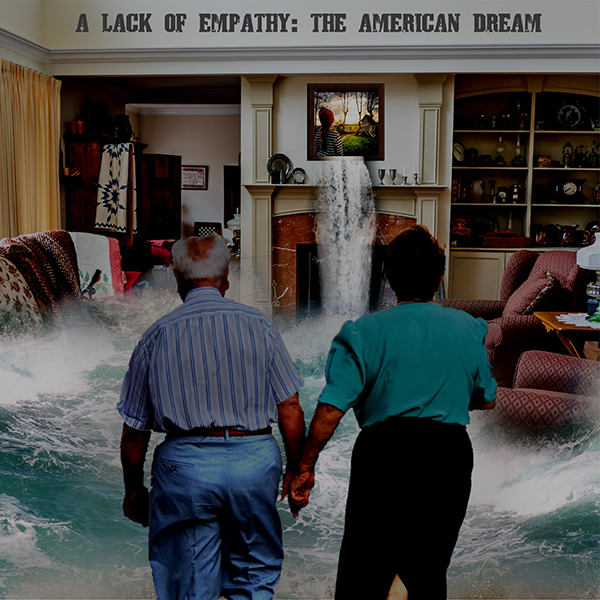 It is on sale at http://thereishoperecords.com/album/a-lack-of-empathy-the-american-dream. Two of Anne Leighton’s artists have contributed tracks to the new fundraising compilation digital album to help rescuers and those displaced by Hurricane Harvey this past summer. Joe Deninzon & Stratospheerius’ song “Today Is Tomorrow,” which is about taking a stand no matter what kind of crowd you attract. The song is from the group’s 2007 album, HEADSPACE. Gary Lucas & Jann Klose plus co-writer Dan Beck’s 2014 song “Mary Magdalene” about the October 22-November 3, 2012 Superstorm Sandy hurricane, which viciously striked the New York/New Jersey area October 29. That song is on the 2016 album, STEREOPTICON. “A Lack of Empathy: The American Dream” is helping to raise funds and support for friends, neighbors and the families of Texas. Right on the heals Harvey we saw more devastating hurricanes both Irma and Maria were also Catagory 5 Hurricanes that created havoc killed people and displaced 1,000’s more. There were a few other very devastating incidents including Typhoon Noru and two earthquakes in Mexico City. There is Hope Records’ goal with “A Lack of Empathy: The American Dream” is to both raise as much money as possible for the victims and families, and to maintain focus on all those devastated by the recent catastrophic events long after the media moves its attention onto another sound bite. For that reason There is Hope Records is asking you to share this information with friends, especially those needing a soundtrack as they help others in today’s challenging times. Option 1: Donate a minimum of one dollar for either each track or $14 for the full 17-song album. This album is only available at the There Is Hope Records Bandcamp Store, so all money from sales minus Bandcamp/PayPal service charges go directly to Music For Relief for Houston. Option 2: There is Hope Records will give out a free copy of “A Lack of Empathy: The American Dream” to anyone that sends us proof of helping those in need whether it be a donation receipt to a local charity/charity of their choice or a photo of them on the ground helping out in some way.